It’s safe to say 2016 was a scary year for the highly competitive sporting goods category. If you haven’t already, it’s time to strap up your helmets… because it’s ride-or-die for bicycle retailers — and they’re already starting this race pedaling uphill. Dicks Sporting Goods, REI, Chain Reaction Cycles, Back Country, Trek Bikes, Performance Bikes, Competitive Cyclist, and more will all be competing hard for website and foot traffic throughout the coming months. Winning this race will be largely reliant on savvy demand generation online. More worldwide consumers than ever before are turning to the internet before making a purchase. On the flipside, recent reports indicate that as much as 50% of shoppers turn first to Amazon when it comes to an actual product search. This is a serious concern for all retailers — bikes included — especially when Amazon has historically appeared more concerned with market share, rather than profit margins. 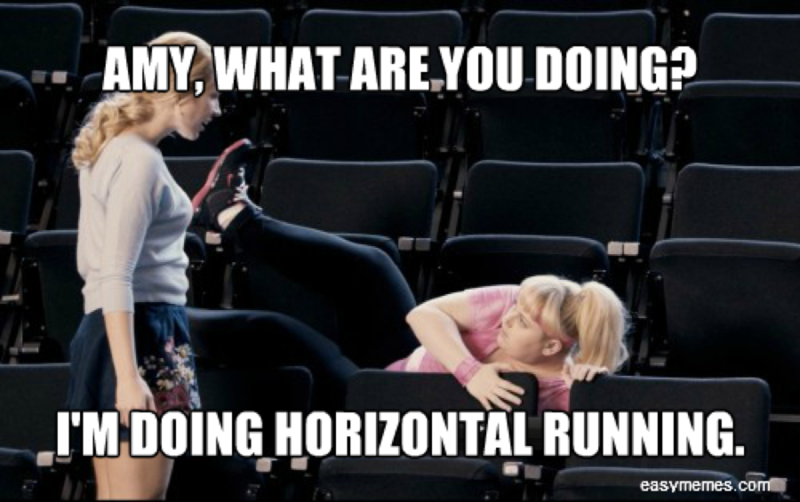 Seriously… that’s a scary thought. Winning this race requires demand generation online and getting in front of interested consumers precisely when they are researching their alternatives. Knowledge is power here. It’s time to start marketing with a purpose (TWEET THIS). Bicycle retailers need to focus their budgets on sources that will generate cold, hard traffic — and lots of it. It simply isn’t good enough to throw money at digital and hope something sticks. The traffic is out there, and consumers will be ready to spend money on bikes, bike parts, and accessories come the warmer months. You just need to know where to find that traffic. To help get you pedaling in the right direction, we thought we’d snap on our helmets, too, and cruise head first into some data. We loaded fifteen bicycle retailers (and a handful of indirect competitors) into our AIM (Artificial Intelligence Marketing) platform. We were particularly looking to spin up a list of sources you might not have expected could drive such colossal amounts of traffic. While our Tour de Insights came back with miles of useful information, we want to highlight three sources that bicycle retailers absolutely must pay attention to in the coming months. At the end of the day, performance bikers are a lot like performance marketers. They both need to map out the best route, have the right resources and accessories, be cut-throat competitive, and go with intention! 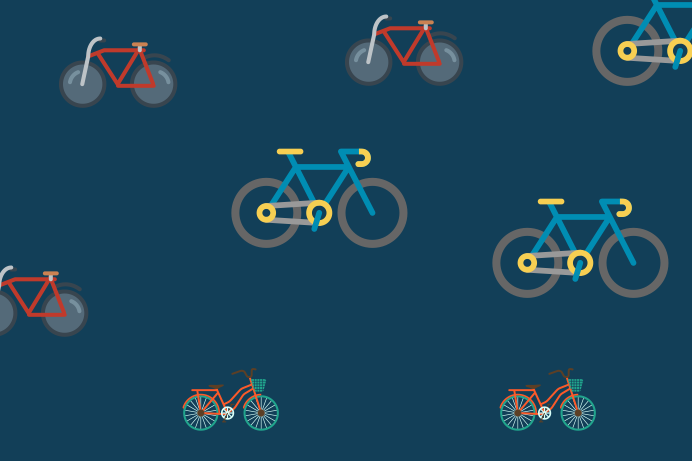 If you’re a traffic junkie, revenue-obsessed, growth-focused marketer like we are, hop on with us as we explore some of the most powerful traffic sources in the world of bikes. Outdoor Gear Lab is a review website that’s mission is to create the world’s best outdoor gear reviews. They review men’s and women’s clothing, footwear, camping and hiking gear, snow gear, fitness, and, of course, bikes and biking equipment. We first saw Outdoor Gear Lab rise to traffic driving prowess with outdoor retailers like REI and Backcountry. Recently however, we’ve noticed it generating traffic for bicycle-specific retailers — notably CompetitiveCyclist.com. 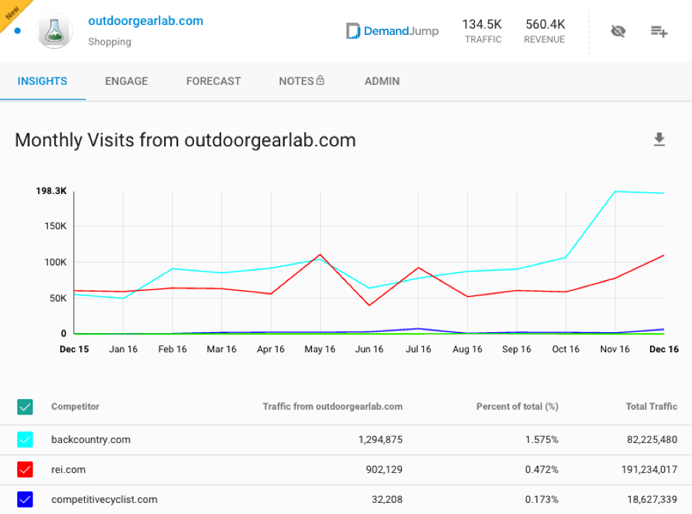 Outdoor Gear Lab generates 1.2M annual visits for Backcountry.com, and almost 1M annual visits for REI.com. 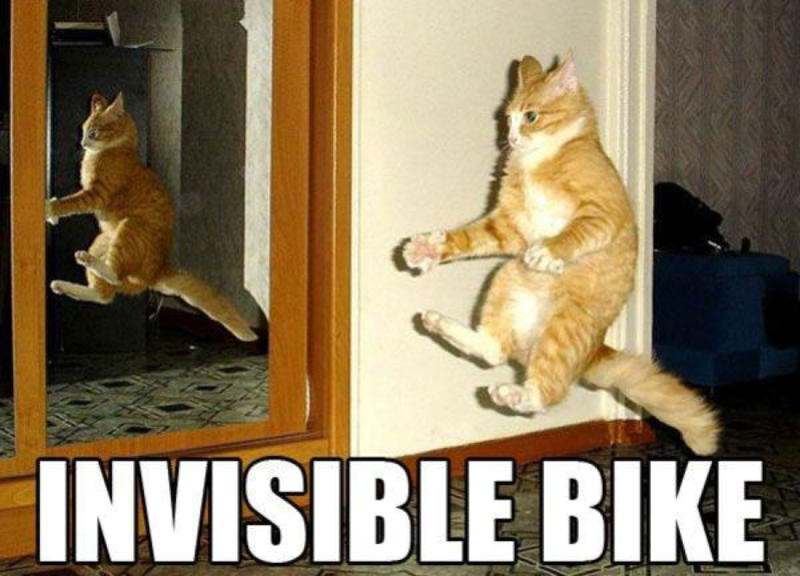 Bike Radar is the self-proclaimed “authority on bikes and cycling gear”. They constantly test everything from bikes and parts, to clothing and gear. Bike Radar also offers advertising options on the website. 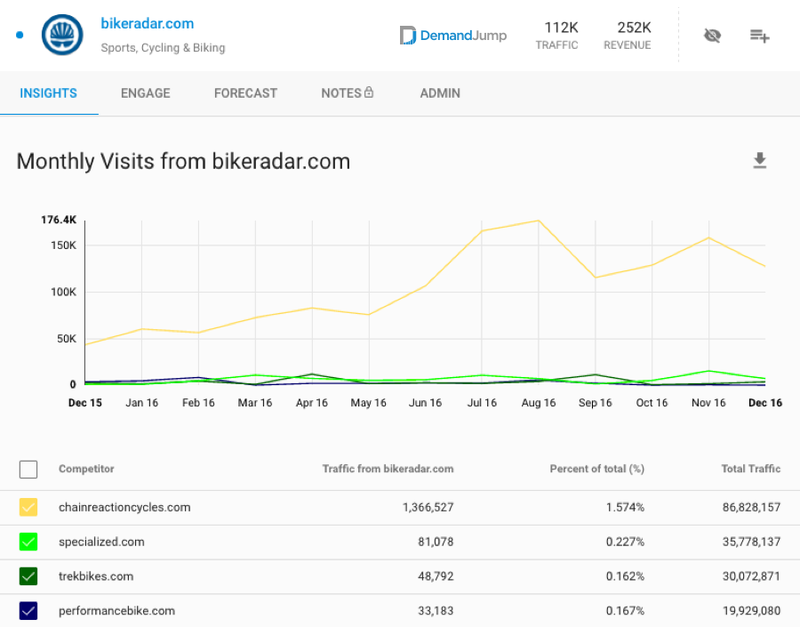 While most competitors are overshadowed by Chain Reaction Bikes, Specialized.com, TrekBikes.com, and PerformanceBike.com are all driving between 30K-100K annual visits from Bike Radar — and there is clearly a lot of opportunity to generate more leads and more revenue. Bike Radar needs to be at the top of every bike retailer’s list in 2017. Affiliate managers – watch out. If you aren’t paying attention to SlickDeals during peak busy seasons you’re in trouble. The popular affiliate website generated almost half a million new leads for Nashbar.com between February and August 2016. Performance Bike, Bikes Direct, and Wiggle also leveraged SlickDeals to drive traffic, but none with as much savvy as Nashbar. Visits from SlickDeals to Nashbar.com peaked in May of 2016 at nearly 100,000 in a single month. This is a powerful traffic source for bike retailers, that needs to be a priority during the 2017 busy season. 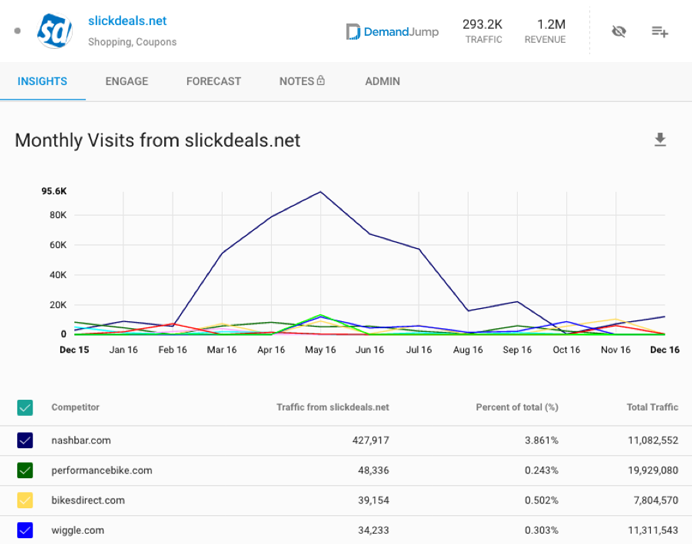 Start crafting strategies around SlickDeals to maximize traffic and revenue generation between March and July. 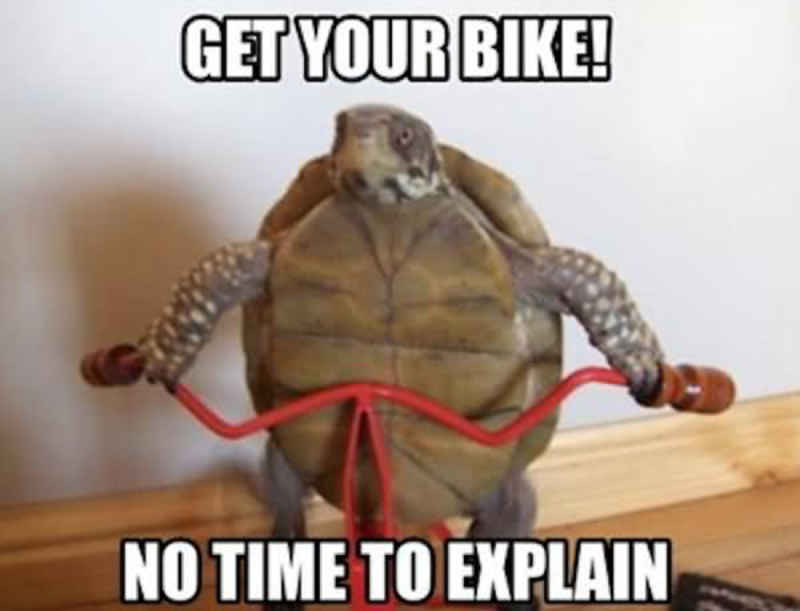 It’s gametime for bike retailers in the United States. After a down holiday season, and with the ever-looming threat of Amazon, it’s time for the winners to show everyone what they’re made of... and for the losers to fall off the map for good. Driving traffic is hard — but it’s a lot easier when you know exactly where to look. 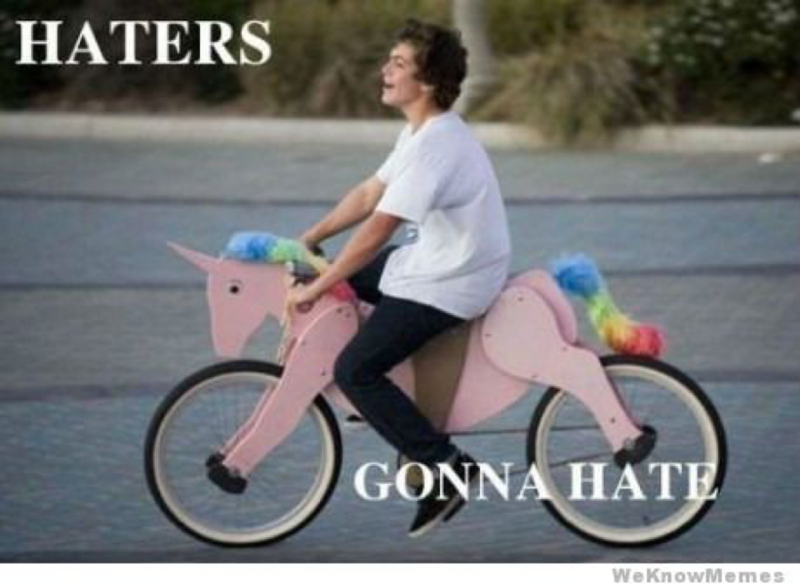 Will you fall back in pack, or ride your way to glory?